Q. When is trash picked up? Trash is picked up according to a route schedule. It is limited to non more than two 30-gallon cans twice per week. Trash is picked up through a private hauler. Visit the Trash and Recycling page for more information. Q. How do I get my bulk trash and yard waste picked up? Bulk trash is picked up every Monday and Friday. You must call Town Hall at 410.778.0500 to make arrangements for bulk trash, and a nominal fee is charged based on the type and quantity. Yard waste is also picked up on Mondays and Fridays. You must call Town Hall at 410.778.0500 to have yard waste picked up. If the brush or yard waste is more than half a truck load, there is a fee of either $20.00 or $40.00 based on the amount. Q. How do I sign up for recycling? Recycling is picked up in Chestertown on Fridays by Infinity Recycling. You can call Infinity Recycling at 410.928.3338 or Town Hall at 410.778.0500 to sign up for recycling. There is no charge for recycling pickup. Q. How are water and sewer charges computed? Building permits are required for all construction within Town limits except for minor repairs. Renovations or new construction within the HIstoric District requires a special form (B) for that areas, otherwise you will fill out the regular form (A). Click to view fees. Q. How do I get permission to set up a table in Fountain Park during Farmer’s Market? Non-profits are permitted to set up tables during Farmer's Market hours on Saturdays. You must fill out a No-Cost Permit outlining the reason and timeframe for the table. Visit the Chestertown Farmers Market page for more information and a link to the permit. Q. How do I apply to become a vendor in the Farmer’s Market and Artisan’s Market? A limited number of spaces are available for vendors in Fountain Park. The Farmer's Market and Artisan's Market follow rules and regulations defined by the Market Managers. 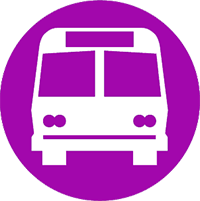 Questions regarding the Farmer's Market should be directed to Owen McCoy at 410.639.7217 and the Artisans Market Manager at artsmanager.chestertown@yahoo.com. Visit the Chestertown Farmers Market page for more information. Q. Do you accept credit card payments for permits or other fees? Not at this time. The Town Hall accepts cash and checks. Q. What are Town Hall hours? The Town Hall is open Monday through Friday from 9:00 a.m. to 5:00 p.m.
Q. What holidays is Town Hall closed? 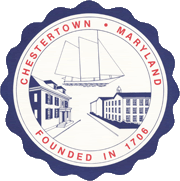 Click here to view the Chestertown Government Employee Holiday Schedule. Q. Am I in the Historic District? Click here to view the Historic District Boundary Map. Visit the Historic District Commission page for more information. Please complete the form below and someone from our offices will contact you.